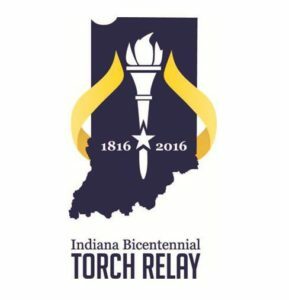 Two Johnson County torchbearers brought their love of history and the county with them when they walked the streets of Franklin, Indiana on September 24. Rich Gotshall has been doing historical reenactments for over 30 years. He portrays Elihu Stout, Indiana’s first newspaper publisher. In 1803, Stout started the paper in Vincennes, Indiana. Wearing his costume and surrounded by props, Gotshall talks about printing and apprenticeship. Gotshall also plays the character of Johnson County’s first newspaper publisher and the father of Franklin’s park system. Gotshall does different characters depending on the group he is talking to, and estimates he is asked to come speak about six times per year. Gotshall has appeared at local museums and philanthropic events in addition to school and community organizations. While filling out his application to be a torchbearer, Gotshall was asked why he should be selected. The torch that Gotshall was supposed to receive was nearing the end of its fuel supply, so Gotshall was handed an unlit torch. Since there was no flame, Gotshall had a unique opportunity to show the crowd the torch. After the relay, Gotshall attended the festival celebration, which featured booths with information about each city in Johnson County. Gotshall has been a Johnson County resident since 1979, and his daughter flew in from Seattle to see Gotshall carry the torch. Jeff Beck, another torchbearer, graduated from Center Grove High School in Greenwood, Indiana and served in the Korean War. Beck lives on a 70 acre farm and is an active volunteer within Johnson County and his church. “I think one of the gifts that God gave me was just talking to people and volunteering,” Beck said. Around the same time that he found out that he would be a torchbearer, Beck also was notified that he would be a guardian for an Honor Flight. Honor Flights take veterans to Washington, DC to see war memorials. Two of Beck’s friends nominated him to be a torchbearer, a position that Beck said was humbling and a surprise. Right before it was Beck’s turn to carry the torch, his wife passed out. Several community members rushed to her aid, and Beck was able to complete his part of the relay. Beck’s wife was released from the hospital the same day and is recovering at home. “There was just a tremendous support from the people around us and the people around us took pictures when the torch was passed to me … so we still got to capture that moment,” Beck said. 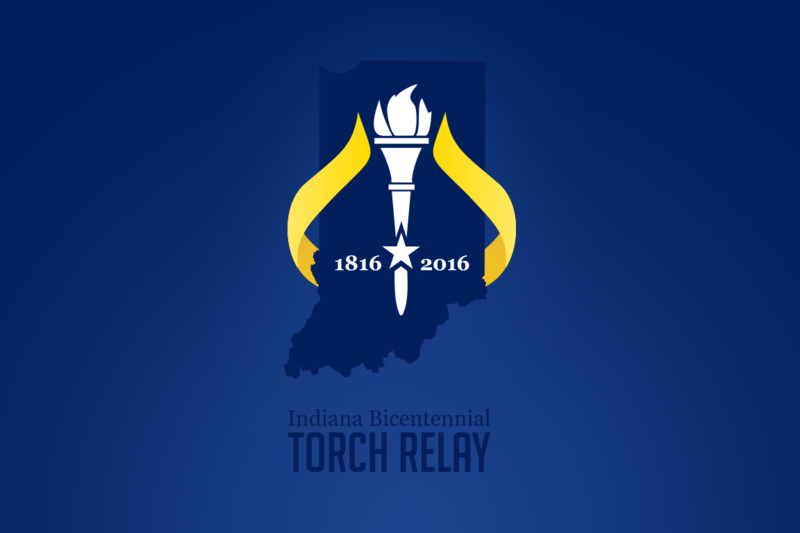 For Beck, the torch relay reflected the quality of people that are in Johnson County. “Johnson County is just a wealth of history … it’s a good blend of rural and urban communities,” Beck said.